As it turns out, Serena Williams's many talents include the ability to pull off a couple polarizing trends: Crocs and a fanny pack. Who knew? 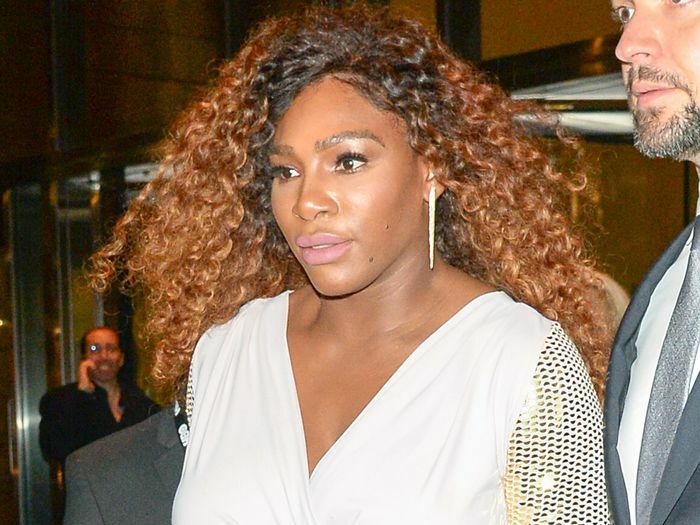 Williams has worn plenty of eye-catching looks on and off the tennis court over her 20-year career, including her Nike catsuit at the French Open and her sneakers-under-a–Valentino gown look at Prince Harry and Meghan Markle's post-wedding reception. But we haven't been privy to Williams's secret Crocs collection until now. Tennis player Lauren Davis shared an Instagram of her hitting session with Williams, including a selfie, as well as a video of the 23-time Grand Slam champ wearing leggings, pink Crocs, and a fanny pack. Scroll down to watch the cute video (by clicking through the Instagram gallery) and to shop Williams's go-to workout piece.